Adoption of online shopping closely followed that of home internet access a couple of decades ago. Despite fear of something new the advantage of not having to drive to a retail location was too strong to resist. Initially people were not used to entering personal information into a computer and especially hesitated when it came to payment data. Gradually it became commonplace and there are many who do a majority of their shopping online today. Although it is a fairly safe practice, it is important to be smart about it and use the following guidelines. With public Wi-Fi widely available users should remember that it is not secure and hackers can access the connection to steal your information. 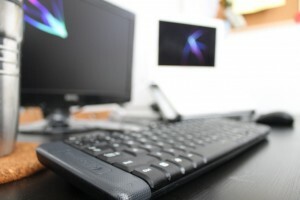 For the same reason, you shouldn’t log into private accounts or enter confidential information when using public computers at locations such as libraries and hotels. My email was hacked shortly after using a hotel business center computer during business travel. It may be a coincidence but is an effective reminder about the lack of security. There are a couple of reasons to use credit cards when paying for your internet purchases. There is only a $50 limited liability for unauthorized purchases with a credit card while it can become unlimited after 60 days with a debit card. Additionally, if you do not receive the products or services purchased a credit card issuer will investigate a disputed charge and usually refund your money. Before making the actual purchase review the amount and all charges. Are there any “hidden” fees you weren’t expecting? Make sure all coupon or promotional codes are applied. I’ve had the browser error when making a purchase and didn’t know if it went through and not. When you get your bills, make sure the transaction matches and there are not any unauthorized charges. Keep all correspondence related to a transaction until you at least receive the merchandise or service. I don’t leave the site until I either get a confirmation email with the details or print out the page. For larger purchases, make sure you have a copy of the terms. For example does that vacation package include meals or not? What is the cancellation policy for the hotel reservation? These are important details that can end up costing you money if you don’t know. Don’t click on links from search engines unless it is a URL you recognize. Scammers work to get their fraudulent sites returned by search engines with the goal of phishing your personal information. Make sure the site accessed includes a security indicator such as a lock (depending on browser) and the URL includes https before entering personal information. Be suspicious of unsolicited emails even if it appears to be from a known retailer. Go to their site directly to make sure it’s not a scam message. Shopping online can be convenient and safe by taking a few precautions. Do you have another tip for safe online shopping? To be sure not to miss any Bucksome Boomer’s Journey to Retirement updates subscribe via RSS reader or by Email.